Last month, we explained the recent changes to credit reporting under CCR. In this article, we look at ways to clean up your credit report. First, a quick refresher. Credit bureaus compile credit reports based on feedback about your credit behaviour from banks and other credit providers. Your credit report contains a credit rating between zero and 1200 – an overall measure of your creditworthiness. If you’re applying for a loan, credit card, electricity or mobile phone contract, chances are a credit check will be undertaken. From July 1, Comprehensive Credit Reporting (CCR) became mandatory for the big four banks. Under this system, it’s compulsory for banks to share both negative and positive details about your credit behaviour with other lenders. Simply request a copy from a credit reporting body like Equifax, Dun and Bradstreet, Experian or the Tasmanian Collection Service. You can access your report for free once a year and it should arrive within 10 days. 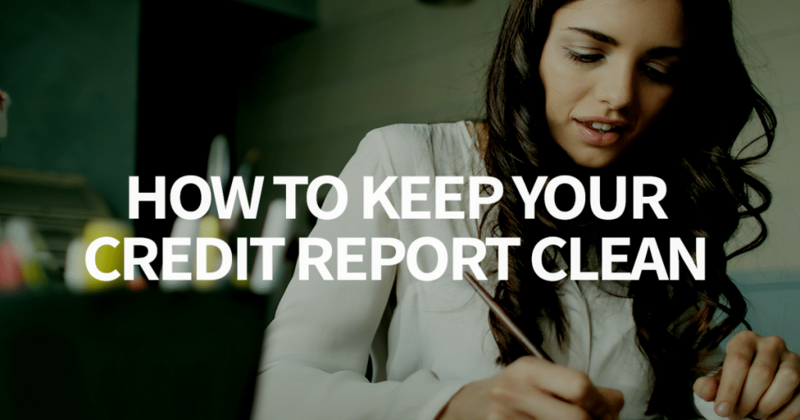 Make a habit of checking your credit report at least once a year. Carefully comb through the details and check for any errors. Make sure your personal identification information and financial details are accurate. Be sure to check that any negative information such as bankruptcies have been removed from your credit report after the required amount of time. Hot tip: Some credit bureaus offer subscription services that alert you to changes in your credit report. This could come in handy for protecting yourself against identity theft. If you notice something’s amiss, it’s important to address the issue immediately. Contact the credit provider (bank, utility company or telco, for example) and ask that the matter be investigated. Also, file a dispute with the credit reporting agency about the error. If you are told the discrepancy will be rectified, be sure to follow up to make sure it’s been fixed. If you have a track record of late payments, credit providers may think you are under financial stress. Remember to pay your bills and credit cards by the due date. Setting up autopay or direct debit is a good way to stay on track. By paying bills on time, you’ll position yourself as a responsible borrower who is reliable when it comes to money matters. Applying for multiple credit cards, loans or other forms of credit in a short timeframe can signal a red flag for future credit providers. Only apply for credit when it’s necessary, you’ve chosen your preferred provider and you are confident of being approved. It’s important to understand your credit report, so that there are no nasty surprises when you apply for a home loan. Remember, taking the time to improve yours could make a world of difference to your loan application. If you need help understanding the report or would like advice about any credit-related matters, please talk with your mortgage broker. They may even be able to use your credit report to help secure a more competitive home loan.